Merry Christmas eBrush fans!! Today I have a beautiful ebrushed gift set to share with you all. I wanted to do something that is a reflection of my heritage. Although I was not born in Hawaii, I did grow up in Hawaii and spent most of my life there. So, I wanted to do a little something special that is a reflection of my heritage. 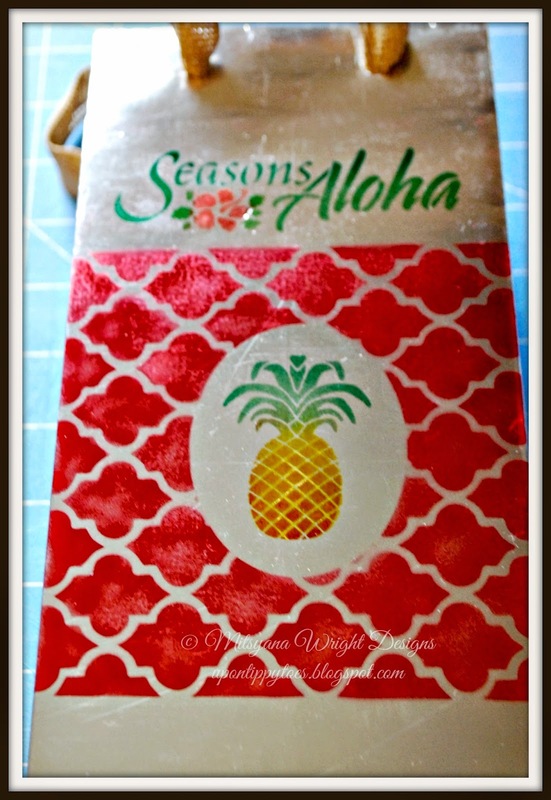 With a few item I turned this dollar store bag into a trendy upscaled gift. With painter's tape I taped a down a border around my stencil onto my dollar store bag. 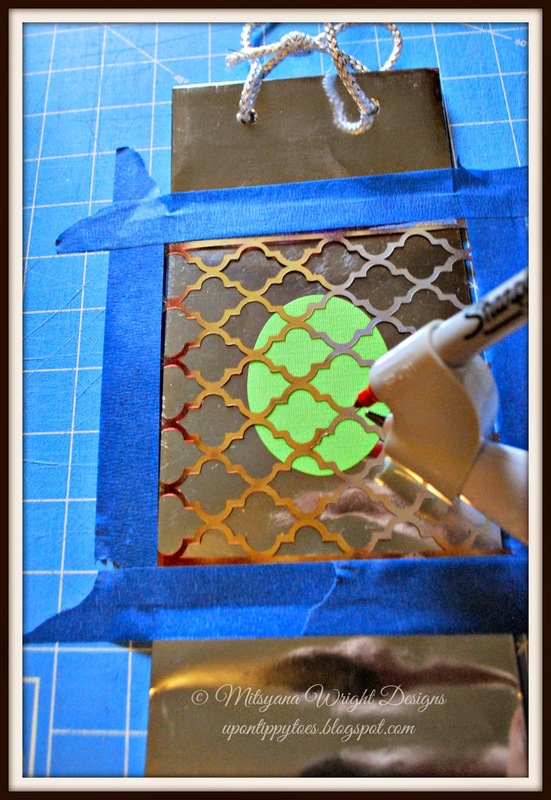 This helps keep the stencil from moving and gives me a clean line around my bag. 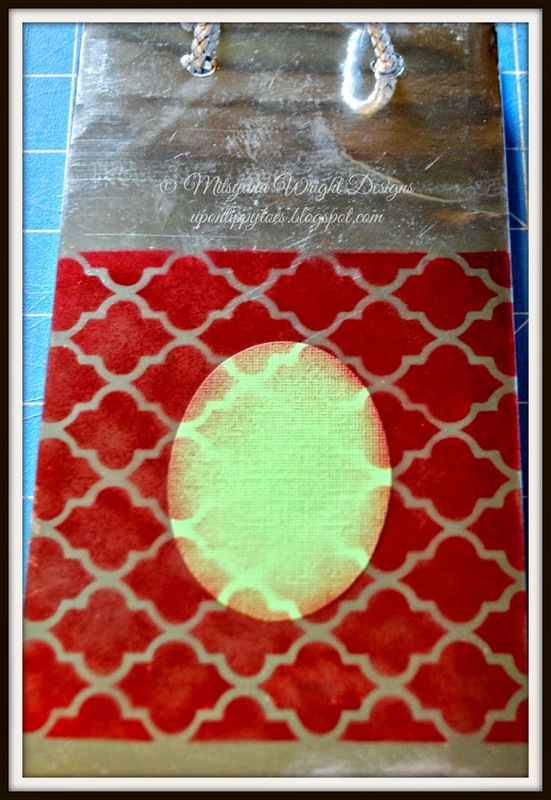 I put a cut out of an oval under my background stencil to mask off an area for my other stencil image to be set into. I airbrushed the background onto my bag using my eBrush machine with the Sharpie adapter and a red Sharpie. Then I removed the stencil and oval mask. 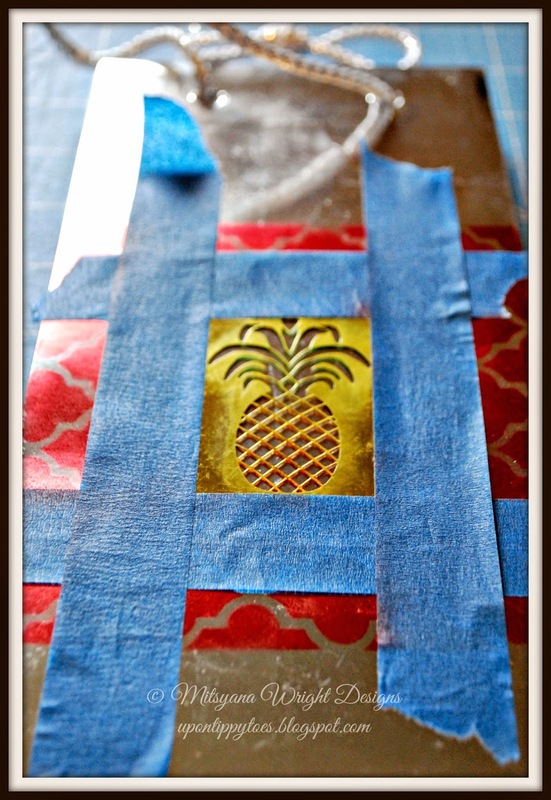 In then revealed masked oval area I centered my Dreamweaver pineapple stencil (LS27) and masked it with more painters tape. 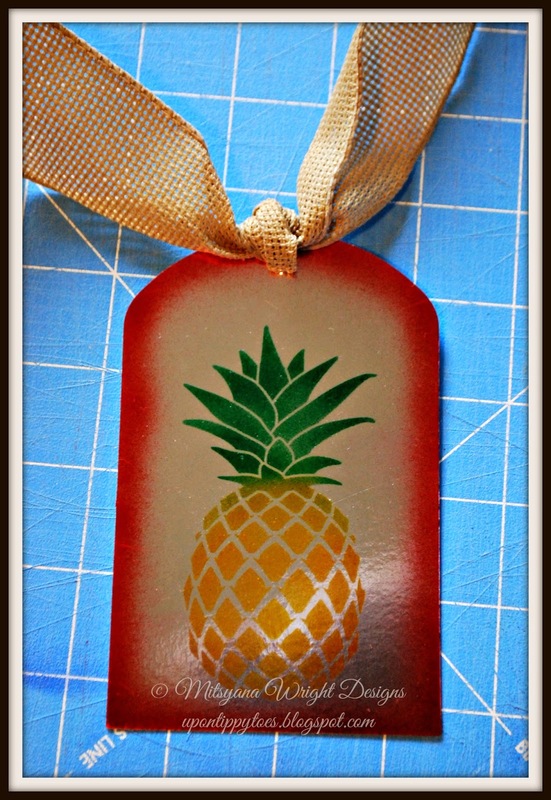 I then ebrushed the pineapple using my sharpies starting with my yellow, then orange for the base of my pineapple, and then light green and green for the leaves. 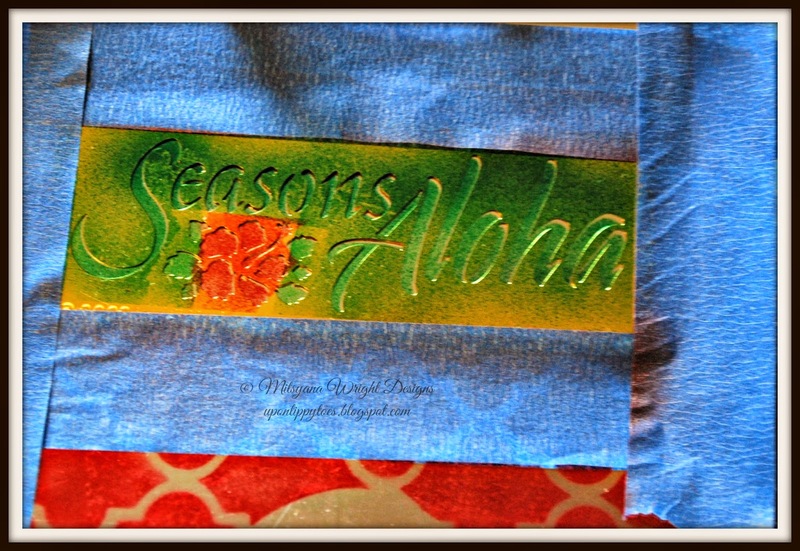 I masked off my Dreamweaver's Season's Aloha (LM204) stencil above the red stenciled area and ebrushed my sentiment. Here is the image of the finished bag . I also removed the metallic "rope" that came with the bag and replaced it with burlap ribbon. This gave it a more luxurious look of that of an upscale boutique store. 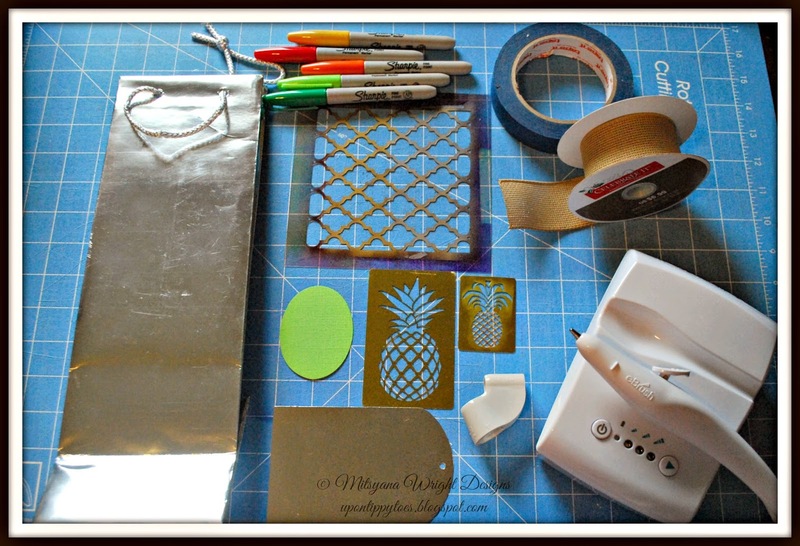 Using my tag die I cut a tag out of metallic paper to match the bag. 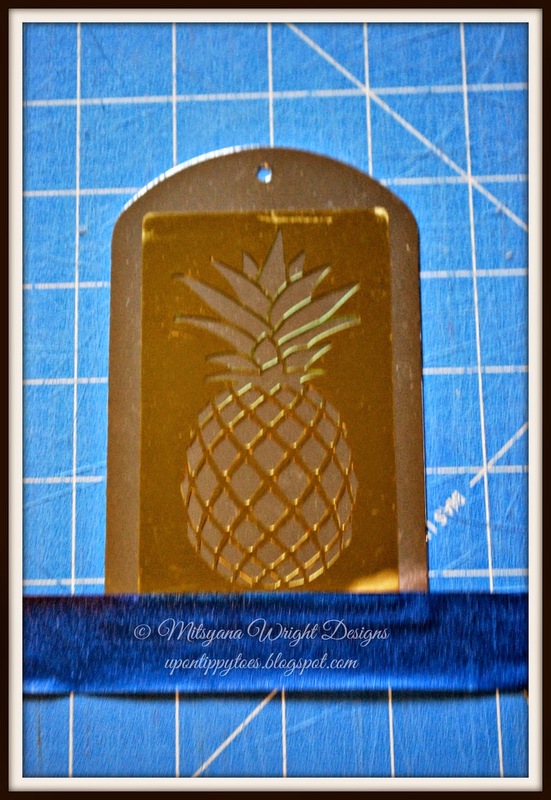 I repeated the pineapple motif my ebrushing a bigger Dreamweaver pineapple stencil (LL482). Again, using yellow, orange, light green, and green sharpies. Instead of ebrushing the same red background I opted for just a simple red border. I did want them to coordinate but I didn't want it to be too "matchy-matchy". The results were just stunning!! 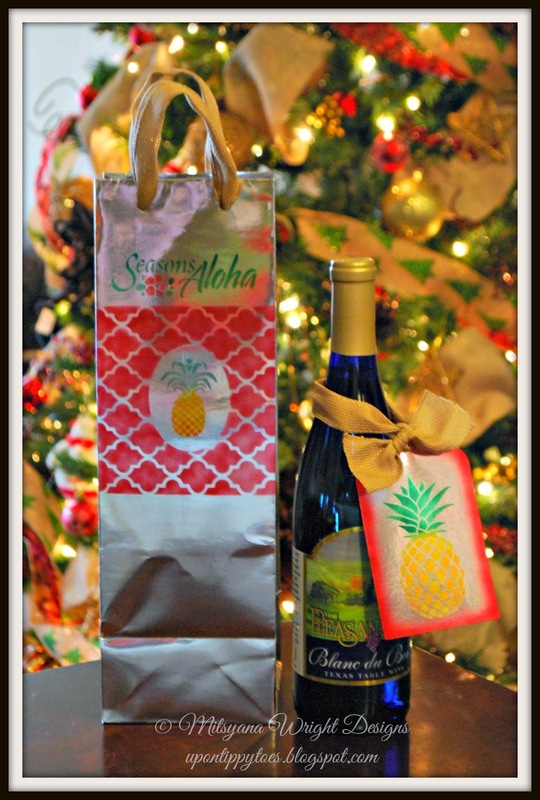 We are a family that supports local artisans so I paired my gift bag and tag with a wine bought from our local winery. 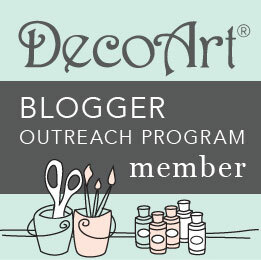 I hope this inspires you to turn your dollar store finds into something luxurious too!